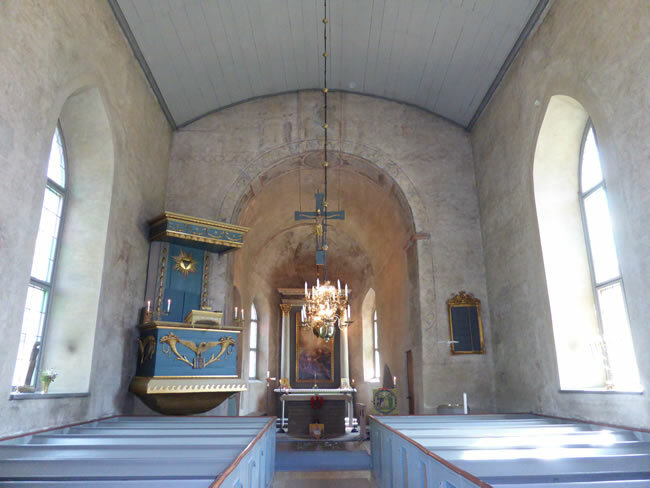 It is one of the oldest churches in Sweden, built at the end of the 11th century. This is the inside of the ancient Resmo Church which is unusually narrow. Although it has been lovingly restored and renovated, its basic structure remains as it was many centuries ago.